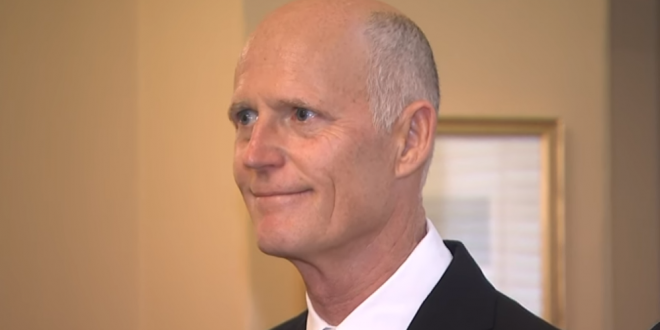 Rick Scott To Recuse From Certifying Election Result - Joe.My.God. Gov. Rick Scott will not participate in the Elections Canvassing Commission on Tuesday, relieving him from the chance that he could certify — or not — the results of his U.S. Senate race. Scott had been silent about his participation on the canvassing commission, a relatively obscure board that signs off on the results of each federal, state and multi-county election. The commission consists of Scott and two members of the Cabinet that he chooses. On Wednesday, his lawyer told U.S. District Judge Mark Walker that Scott plans to recuse himself from the commission, just like he did in 2014, when Scott was running for re-election and also faced the chance of certifying the results of his own election.